Out of the box, we find that 95% of routers will work with our service using factory settings. 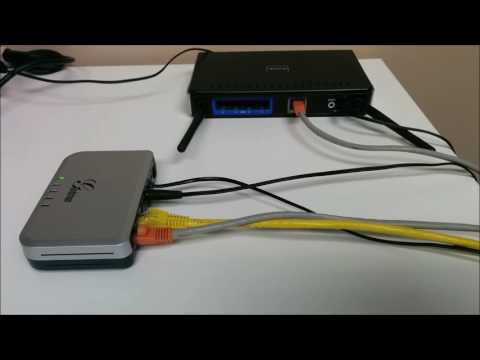 To learn how to change other features such as setting up WiFi security, we suggest visiting YouTube.com and searching the make & model of your router to find a how-to video. It hasn’t failed us yet! How can I confirm I’m receiving my package speeds? To run an online speed test visit www.speedtest.net and click "start". Please make sure to turn off all computers/devices that connect to the Internet except the one you are using to run the test, and close any programs that use the Internet on that computer except for the web browser you are running the test in. This ensures you are able to test the maximum capacity of your connection without other sources using the bandwidth, netting a false result. For more accurate testing please see our bypass test video. If you are unsure about what results you should be seeing, click here for a list of our Internet packages. If you have any questions about your results, please contact us and one of our support representatives will be happy to assist you! When you are testing this in a busy business environment it may not be possible to turn off all devices, in this case we recommend testing before or after business hours. How do I reboot my connection? You can view our walkthrough videos & documents here. Can I use VPN services with Silo Internet? Yes. In most cases VPN services will work normally but in some circumstances certain settings may need to be tweaked. If you are trying to VPN into your office network, you will need a static IP address. Business accounts come with up to (3) static ip addresses if available, please request one from our office if you require it. What DNS settings should I be using? Can I access my network or cameras from outside my business? In order to access your internal network or computers from outside of your business you will need a static IP address. Each business account comes with up to (3) static IP addresses, please contact our office if your require one to be setup. My WiFi signal appears weak. Why is this? What can I do? Your WiFi signal on your devices is the signal from your router to your device, this is not your wireless signal from Silo. 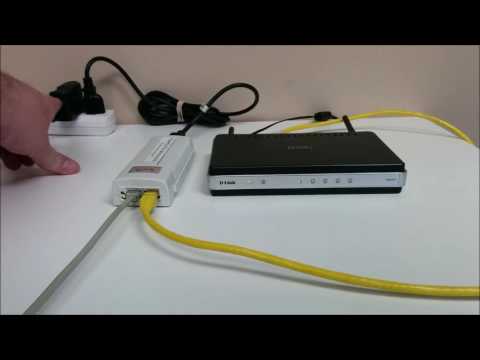 Depending on the type of router and where it’s located in your home it may not reach all areas. We recommend having your router on the main level of your home and in an open area. If you are noticing that the signal is weak in certain areas you can look at moving the router to a more central location or purchasing a wireless extender in order to extend the signal further. Want to make this our problem? Check out our Managed Home WiFi service and let us tailor a solution to suit your home, and help manage its ongoing needs. What brand of router do you recommend? Not to toot our own horn, but the commercial-grade hardware provided with our Managed Home WiFi service truly is the best solution for Silo customers. Otherwise any main brand routers that big box stores carry (D-Link, Linksys, Asus) routers would be suitable for use on our residential Internet services. Should I be using 5GHz or 2.4GHz WiFi with my router? We generally recommend using 5GHz if you are in the same room or close to the router but if you are further away or using an Apple product we recommend the 2.4GHz band, as it travels further. I forgot the password to my router or WiFi. What do I do? Unfortunately, we don’t store router passwords. These are pieces of equipment that you own and we have no responsibility for. If you cannot remember your password we recommend trying a forgot password method if available or doing a configuration reset. You may need to consult your router's manual for the recommended steps to do this. Alternatively, you may contact the manufacturer's technical support team and they might be able to offer another solution. Want us to take care of your home WiFi? Sign up for our Managed Home WiFi service and let our friendly support technicians make any changes you need to your router’s settings, without you having to touch a thing! If your answer was not found above please contact us and we will be happy to answer any questions you have!